When we look back on 2017, these are the cars that everyone will remember. Earlier this month, we put together our list of the best performance cars of 2017. The list was made up of the cars that we thought had the biggest impact on the industry and were the best to drive. Now it's time to focus on the supercars that 2017 will be remembered for. We only focused on cars that have already been fully revealed and have made an impact on 2017. So cars that haven't really been built yet, like the Tesla Roadster and McLaren Senna, have been excluded. The first car barely made our list because it hasn't made it into the hands of many real owners. Luckily, Porsche put the new 911 GT2 RS on full display by capturing the Nurburgring production car record. 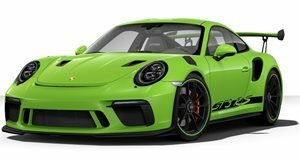 With nearly 700 hp on tap, the GT2 RS pushes the 911 up from a sports car to a full-on supercar. It may not take long before some other car comes along and recaptures the Nurburgring record in 2018, but the GT2 RS was certainly the track king of 2017. 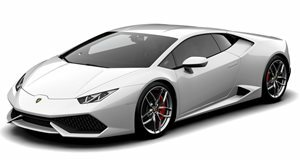 Even though the GT2 RS defeated this car's earlier Nurburgring record, we still believe that the Lamborghini Huracan Peformante is one of the most important supercars of 2017. The Huracan Performante is the first Lamborghini in a long time that we have found ourselves smitten with. This was a track-focused car that lapped the Green Hell faster than a Porsche 918 Spyder. It may not be "the" fastest supercar of 2017, but it is certainly top five. McLaren has been building some of the most impressive supercars in the world for a while now, but to be honest, they were all starting to feel a bit stale. Everything from the 12C to the 675 LT was powered by the same 3.8-liter twin-turbo V8, and it was time for McLaren to come up with something different. The new 720S took us by surprise by beating pretty much everything in its path. We know that the Senna will be the more track-focused McLaren, but we wouldn't be surprised if the 720S was actually the fastest supercar of 2017. The Ford GT came as a surprise reveal right at the end of 2016. After a rather strange buying process that involved actually applying to Ford for the privilege of owning one, deliveries really got going in 2017. The Ford GT isn't really everyone's cup of tea, but it is certainly a cool car. Ford ditched the idea of trying to be retro like the previous GT. Instead, it basically built a race car for the road. Every company likes to claim that their car is really a track for for the street, but the Ford GT is the real deal. Like the Ford GT, the Bugatti Chiron was actually revealed back in 2016. However, 2017 is the year was the first examples have actually been delivered to owners. Even though the Koenigsegg Agera RS set a production car top speed record this year and beat the Chrion, we have yet to see the Chiron hit its true top speed. 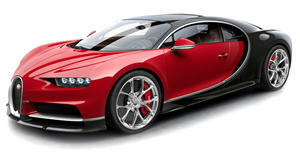 Bugatti claims that the Chiron may be able to top 300 mph, but the current tire technology limits the top speed. The Chiron is still an incredible car, and we believe that the best is yet to come with this amazing machine.